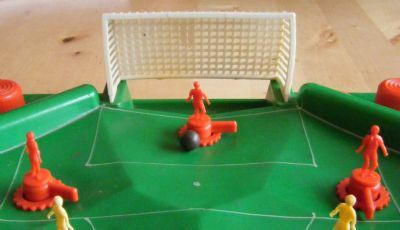 A game most people of a certain age probably remember from their childhood. Still regularly sells well on ebay. 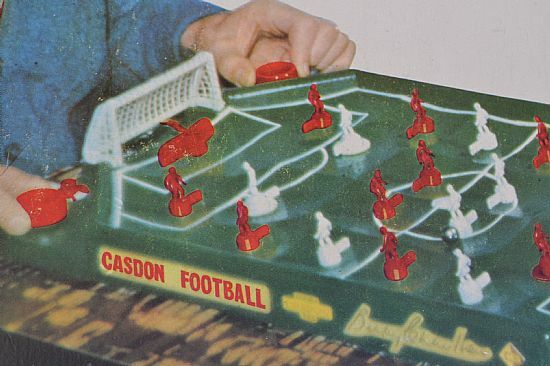 Came in a few versions including and England version around the late seventies with the famous Admiral kitted team. 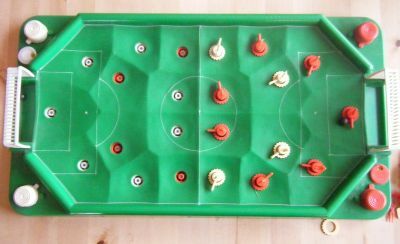 If you have ever seen the players in blue, green or yellow plastic then please get in touch. Later relaunched in a fabulous international edition. 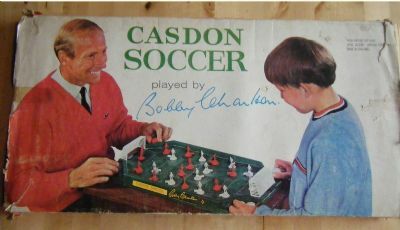 The earliest version of the game - titled Football not Soccer and a natty blue jumper for Bobby. Complete set in super condition. Well this is how sad I am!! 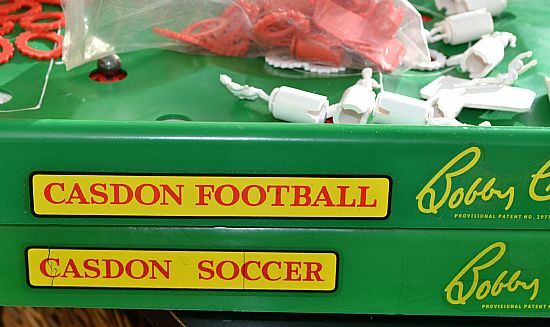 I found an early blue jumper version of the box but with 'soccer' instead of 'football' wording. 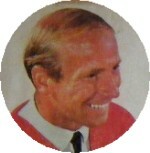 Only Ralph Coates was able to offer any sort of competition in the hair stakes. 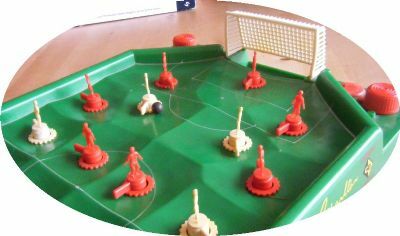 Sturdy plastic pitch and two teams of figures that rotate when knobs are turned to kick the ball. 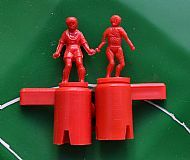 The chunkier figures are from the early set and the weedy ones from the later sets. 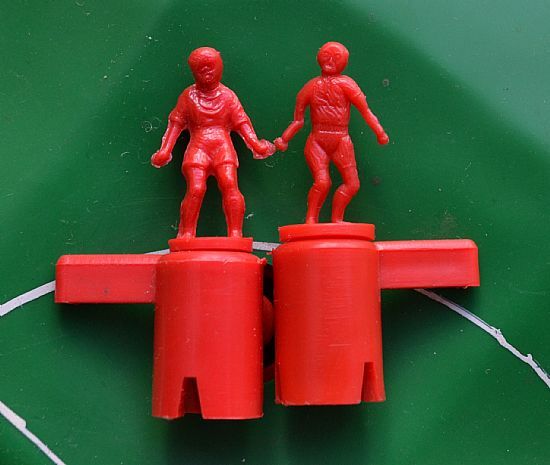 Apparently also available in blue, green and yellow plastic but I have never seen these. 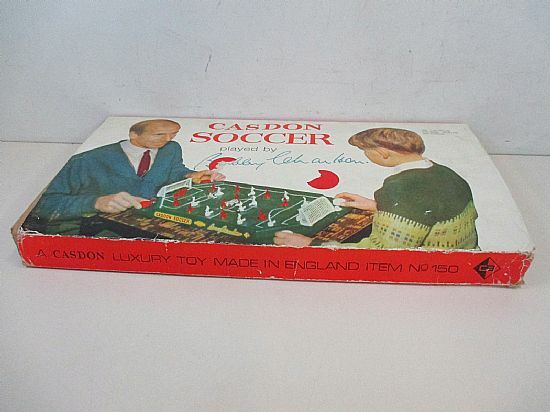 Back in the Sixties I am sure Soccer was a banned word! Pretty crappy retouching on the box lid photo!! I'm learning Photoshop at the moment so I find this highly amusing.